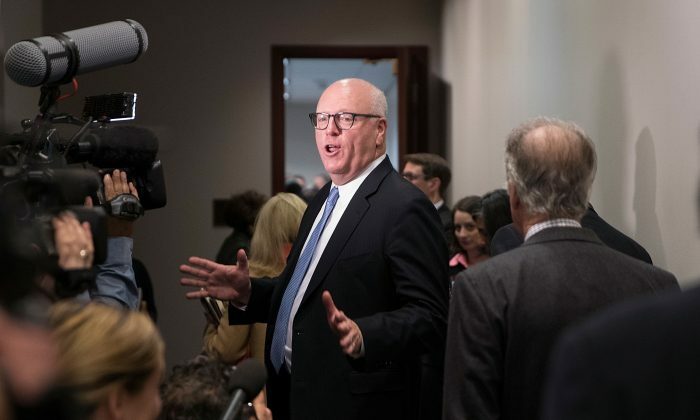 On June 26, long-serving Rep. Joe Crowley (D-N.Y.) lost his seat for reelection, in a stunning upset, to 28-year-old far-left political newcomer Alexandria Ocasio-Cortez. Crowley, 56, who had not been challenged in a primary for 14 years, was widely believed to be a future speaker of the House who would succeed Democratic leader Nancy Pelosi. His loss to Bronx-born Ocasio-Cortez, a member of the Democratic Socialists of America, took many by surprise. Ocasio-Cortez’s victory came as a shock even to herself. Footage from the Associated Press showed her screaming “I won!”, her face reflecting a look of complete surprise, as she watched the results come in on television. Her win was the biggest political upset so far this year. In a statement on Twitter, the 10-term congressman congratulated Ocasio-Cortez, saying, “I look forward to supporting her and all Democrats this November.” Crowley represented New York’s 14th Congressional District and is also the leader of the Queens Democratic party. The high-ranking Democrat’s defeat has left no option for a successor to Pelosi as the party’s leader, while at the same time revealing major internal divisions in the party’s message and policy goals. His loss drew the attention of President Donald Trump. Ocasio-Cortez ran a low-budget campaign and was outspent by her opponent 18 to 1, according to the Associated Press. She defeated Crowly by 15 percentage points. According to her campaign’s website, Ocasio-Cortez was born to two working-class parents. Her mother was born in Puerto Rico. After graduating, she became a community organizer and worked for Sen. Bernie Sanders (I-Vt.) in the 2016 presidential campaign. She challenged Crowley to push a more extreme left-wing stance on the economy, health care, and other issues. Trump is a vocal critic of communism and socialism but cheered the fall of Crowley as a sign of chaos in the top ranks of the Democratic Party. Ocasio-Cortez’s far-left policies include the expansion of the Medicare program to people of all ages and abolishing Immigration and Customs Enforcement. Her win also represents a shift to more extreme left-wing ideas inside the Democratic Party. During an Oct. 6 event at the White House celebrating Hispanic Heritage Month, President Donald Trump said his administration is working for prosperity and freedom and is standing with the people of Cuba and Venezuela against the authoritarian systems of communism and socialism. Communist and socialist regimes have killed more than 100 million people over the last century, according to “The Black Book of Communism,” published by Harvard University Press in 1999. Ocasio-Cortez first gained attention online over her campaign video. Meanwhile, the Republican candidate for the office, Anthony Pappas, is running unopposed and had no primary. He teaches economics at St. John’s University. The United States Border Patrol on Sunday allowed reporters to briefly visit the facility where it holds families arrested at the southern US border, responding to questions over the Trump administration’s “zero tolerance” policy.